President Obama and Vice President Joe Biden met with James Clapper, director of National Intelligence, during the Presidential Daily Briefing in the Oval Office on April 2, 2013. WASHINGTON — All you need to know about the differences, in personality and temperament, between Joe Biden and Barack Obama is this: Biden drinks coffee, Obama drinks tea. Biden is a jolt, someone who smiles like he’s had a few espressos already. His high-energy flare can seem over the top. Not quite like Kramer on the episode of “Seinfeld” where he consumes all the lattes he can drink. But close. In fact, Biden went to one coffee shop in Michigan last week. Outside, he stroked a baby’s head. Inside, he bought lattes and displayed little reluctance to get close to the customers — almost literally cheek to jowl with one woman. Obama, on the other hand, is much more laid back. He lets decisions simmer like a seasoned tea drinker lets his tea steep. He’s even-keeled, no-drama-Obama. He’s the philosopher, pondering decisions and mulling things over in a way that supporters like (because he’s deliberative) but that critics hate (because he can seem detached and uncertain). 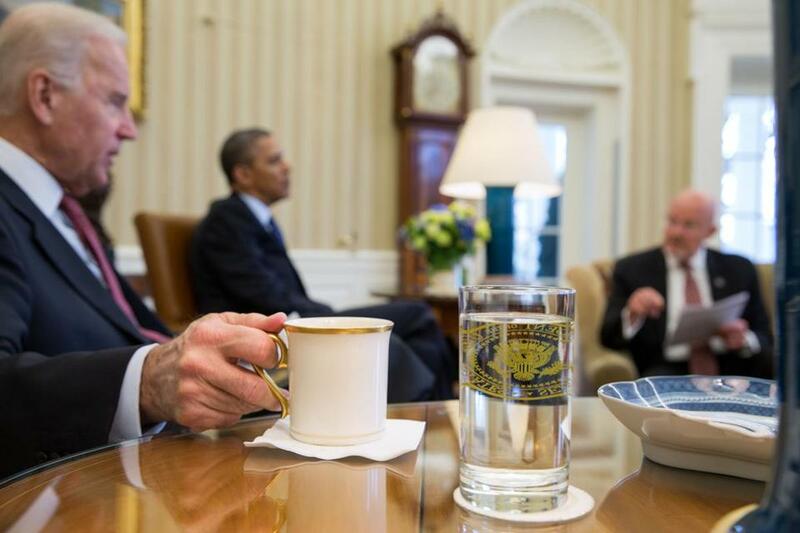 An enduring mystery: What coffee is served at the White House? It turns out that the Obama White House makes it nearly impossible to find the source of its coffee and how it is prepared. It’s unclear exactly how, and when, Biden likes his coffee (his office didn’t respond when asked) but former aides say he most definitely is a consumer. And the administration has actively promoted Biden as a coffee guy. Need to do a fund-raiser? “Coffee with Joe” was offered. “I want to buy you a cup of coffee,” the e-mail appeal read. A specialty coffee blog had fun superimposing his image in a lot of high-end coffee shops. For sustenance during debate prep in the 2012 campaign, he relied on coffee, tea, and Gatorade. 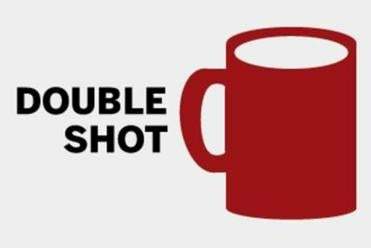 A few months back when a New Yorker reporter was with him on Air Force Two, the vice president loosened his tie and asked for a cup of coffee. In May, Biden was featured on a video on the White House website providing coffee for a cop. Biden had visited Laboy in the hospital last year when he was injured in the line of duty, and brought coffee for his colleagues. So Laboy brought the vice president coffee to the White House and Biden delivered a heart-felt recording about the importance of police officers.